What if your building could “tell” you how to save money? PNNL is inventing systems to turn buildings from passive users of energy into active participants in the power system—making the buildings we work or live in “work” for us instead. We’re researching how buildings can respond intelligently to the natural environment, evolving grid conditions and dynamic occupant demands—not simply bracing for those external factors. Why do buildings matter to our energy future? 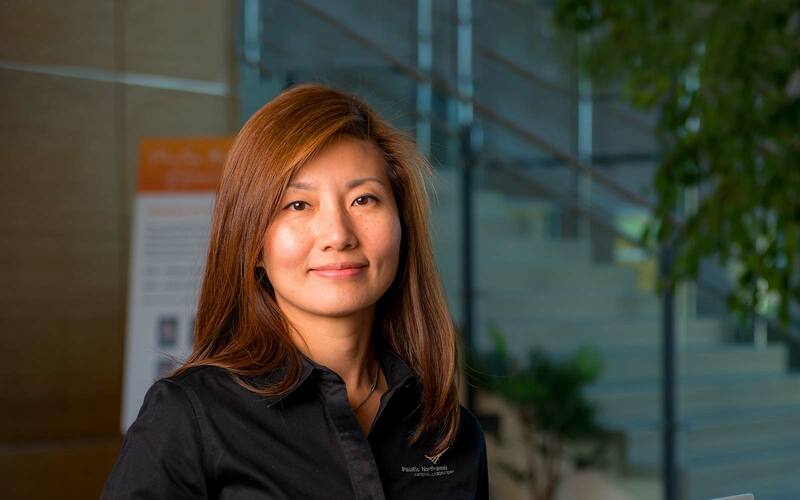 Senior Engineer Nora Wang says it’s because buildings account for 75 percent of U.S. electricity consumption and 40 percent of our nation’s energy use overall. That equates to $430 billion in energy bills every year. Powering U.S. buildings contributes more than 2,200 million metric tons of carbon dioxide to the atmosphere annually—more than the total emissions of Russia and Canada combined.